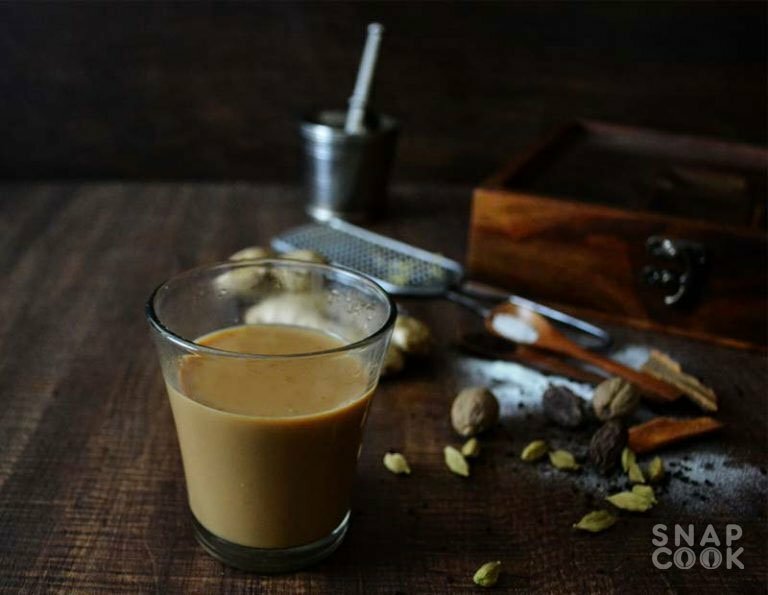 How to make Masala Chai or India masala Tea. 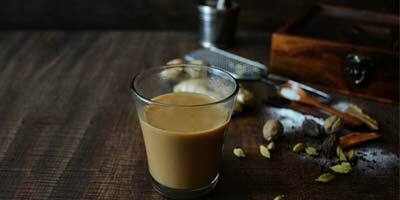 We all love Spice Tea in winters and here is the easy recipe for the Spice Tea / Masala Chai. Coarsely Grind Black pepper corn, cloves and seeds of Black Cardamom in pestle. Keep it aside. In a saucepan, put water and add tulsi leaves, ginger, cinnamon stick, fennel seeds, grinded above masala. Bring the water to boil till the flavors are infused well. Add tea powder and after few seconds add grated nutmeg. Let it boil for 1 minute. Now add milk into the saucepan. Coarsely grind the green cardamom and add in your tea. Boil it for 30 seconds more. Strain the chai in your cups and serve hot.